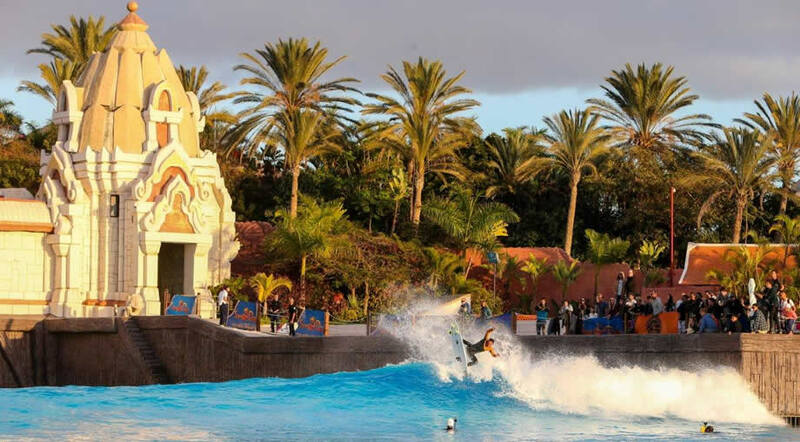 Some of the best European surfers have gathered last week at Siam Park in Tenerife in order to demonstrate their skills by riding the world's largest artificial wave in The Wave Palace. The event was organized by the World Surf League in order to celebrate the end of the 2018 edition of Las Americas Pro Tenerife championship. 14 professional surfers have participated in the event at Siam Park in order to demonstrate their talent and skills: Mikaela Greene (AUS), Lucía Martiño (ESP), Maud Le Car (FRA), Carol Henrique (PRT), Pauline Ado (FRA), Melania Suárez (CNY), Gony Zubizarreta (ESP), Yael Peña, better known as "the child of Colacao" (CNY), Vicente Romero (ESP), Jonathan Gonzalez (CNY), Gearoid McDaid (IRL), Maxime Huscenot (FRA), Jorgann Couizinet (FRA) and Tomás Fernández (PRT) ). Each competitor had to ride three waves in order to impress the judges and the public present at the event. In the end the winners of the competition were Vicente Romero (with the best aerial maneuver) and former European champions Pauline Ado and Jonathan González. Siam Park was the host of the event, one of the best attractions in Tenerife, also declared as the No.1 Waterpark in the world by Tripadvisor.